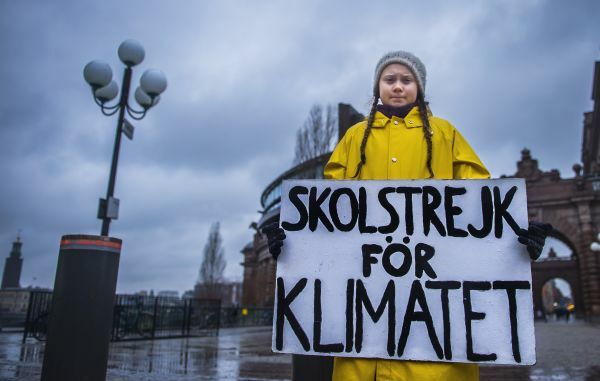 According to the Norwegian Minister of Climate and Environment, Ola Elvestuen, the countries represented are getting close to a climate accord. Climate change is a topic that the United Nations has taken seriously for decades, having founded the United Nations Framework Convention on Climate Change (UNFCCC) already in 1994, initiated during the Rio de Janeiro Earth Summit in 1992. The Intergovernmental Panel on Climate Change has existed since 1988. They work “to provide policymakers with regular scientific assessments concerning climate change, its implications and potential future risks, as well as to put forward adaptation and mitigation strategies” (https://www.ipcc.ch/pdf/session48/pr_181008_P48_spm_en.pdf). In December, the IPCC will present to the Katowice Climate Change Conference a Special Report on the effects of a global warming of 1.5⁰C above pre-industrial levels. Read the press release from the IPCC in the link above and make a note of what it says about the difference between a 1- and 2-degree increase compared to pre-industrial levels. Draw upon studies from your other subjects as well and be prepared to discuss the topic in class. Sustainable Goal nr. 3: Good Health and Well-Being, is the last of the UN Sustainable Development Goals we will work in-depth with, at least for now. This goal was one of the most cited ones in August, when you were to choose which goals you found most important. Start by reading up – what is the actual goal about and what are they focusing on? You will find all this here. So how is it going? Will we be able to reach this goal by 2030? The latest progress report from the UN is short and informative. In some areas things are going the right way, in others not so much. Some diseases and epidemics are still causing a lot of problems, such as HIV/AIDS – especially for women in sub-Saharan Africa, Malaria, Ebola – with recent new outbreaks in the Democratic Republic of the Congo. Also, cardiovascular diseases, diabetes, cancer and air pollution are huge problems and each cause millions of death every year. After reading the two texts about Goal. 3, linked to here – what do you think are the biggest challenges yet to solve in order for this goal to be reached? Explain your answer. Use WHO’s website or other relevant pages you find and look at emergencies. Choose either an area or a disease and do some research – what is going on here? What emergency is being caused by this disease, or what medical emergencies are going on in the area you chose? Read up, and then explain in your own words. Include what is being done, and look up other sources as well to see if you can find more supporting evidence. Reflect: based on your new knowledge about a disease, or an area in medical emergency – what would you say is being done to reach goal 3? What would you say is NOT being done, but should be done? Can you think of any challenges that could hinder progress for this goal? Which and why? Can you think of any solutions for these challenges? Hunger increasing due to climate change, according to a UN report. It found that 821 million people — one in every nine — were malnourished in 2017, up from 815 million in 2016, putting at risk the UN’s goal of eradicating hunger in the world by 2030. In groups of three, choose one of the UN Goals which we have not already worked with (so avoid goal 1-5). Make sure your group choose a goal no one else has chosen. what/who is causing this problem and/or preventing a solution? why is this relevant for the UN? what is the group’s personal opinion of this problem? what do your group think about a possible solution? What can a single individual do to help? Your presentation should be about 10 minutes long, and you should be ready to present at 12:00 today. This will be graded individually. Simple content, has worked very little with different sources, shows little independent thought and research. Answers only some of the assignment given. Good content with some independent research, has clearly worked with different sources. Answers the assignment. Independent and well-researched content, and a thorough answer of the assignment. Explains and gives examples. Has worked well with different sources and manages to use them in an independent manner. Has a simple vocabulary, uses a lot of repetition and little variation. Has a broad vocabulary, with some more advanced words. Shows that he/she understands the words they use. Has an advanced and varied vocabulary, varies in sentence structure and length. Understands and are able to use and explain difficult concepts and definitions.